I should really be working on the training we are supposed to complete before my next class starts, but I just want to relax before tackling that monster. 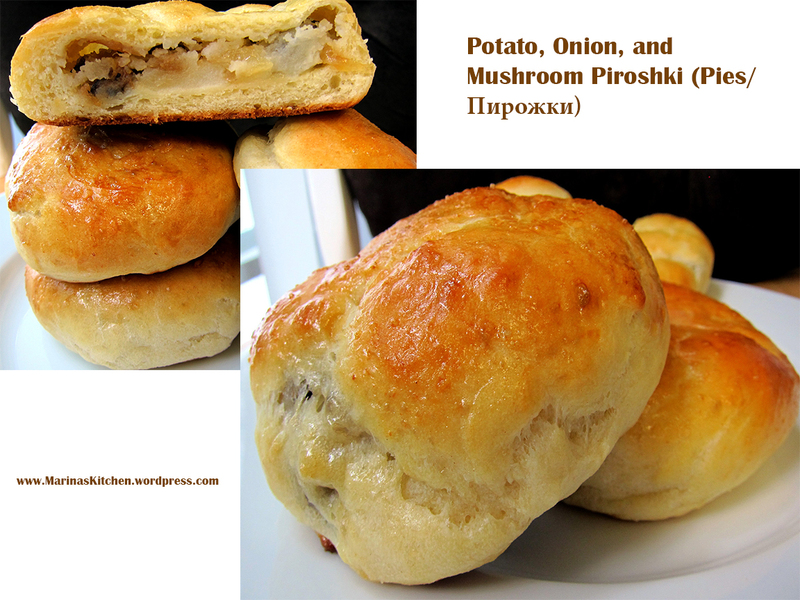 So today I decided to make Russian style potato piroshki (individual pies). I have never worked with dry active yeast before, so this was all new to me. Those of you who know me, know that dough and I are not very good friends. If there is a rolling pin involved I run far away from that recipes. However, since I (finally) have some free time, I decided to give it a shot. The result was FANTASTIC! The house smelled like a bakery. I usually use store-bought biscuit dough to make these types of “pies”, but I really want to get away from that and make my own dough. Let’s just say, that this dough recipe is going into my archive, for sure. Preheat oven to 350 F degrees. Line a baking sheet with aluminum foil. In a mixing bowl, combine buttermilk and oil, place in the microwave for 30 seconds to warm it up. Add flour, sugar, salt, and yeast. If needed, add more flour until the dough comes together. Place in a warm place covered with a kitchen towel, and let rise (it will double in size) for at least 30 minutes. To a saucepot, add chopped potatoes, add salt, bring to boil, and cook on medium heat until fork tender. To a small skillet, on low heat, add chopped oil and onion and fry until golden brown. In the same skillet, add chopped mushrooms, do not add salt, just fry them until browned. Once the potatoes are done, mash them, add fried onions and mushrooms and black pepper to taste. Mix well. From the dough, tear off pieces (dust the surface and hands with flour if the dough is sticky), flatten the dough into a disk and fill with potato mixture (about 2 tablespoons). Pinch the ends together. Lay on a baking sheet seem side down. Brush with beaten egg. Place in the oven and bake until golden brown on top, about 25 minutes. Be sure to check the bottom of the pies to make sure they do not burn. Thank you, they were very delicious!